Oreo cookie crust made fresh, from scratch! 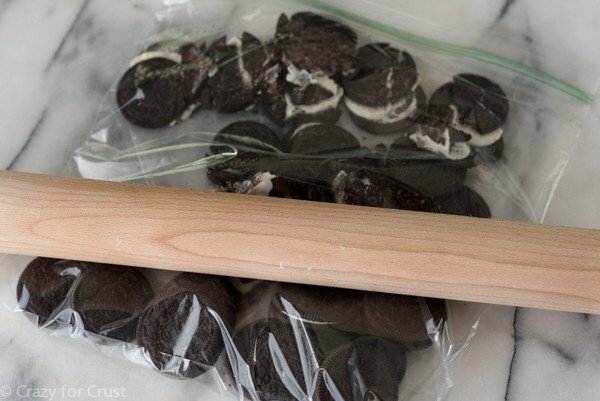 This easy homemade Oreo cookie crust will amp up the flavor of your favorite no-bake pie recipes. Raise your hand if you don’t like the store-bought Oreo Cookie Crusts. Don’t worry – you never need to buy one again! Now you can make your own with this perfect DIY recipe, and the best part? You can use ANY flavor Oreo cookie!! The next three days are jam-packed fun-filled days for the kids at school. They’re stressful, gut-wrenching, and exhausting for us moms, especially those of us who work at home and are trying to get 3 months of work done since, hello, no childcare. I often wonder why the kids go to school this week. The grading period ended last Friday, so there will be no homework, no math fact drills, and no required reading. There will be a pizza and cake party, park time, and several assemblies. The first of the assemblies starts today: the Talent Show. Jordan and two of her friends are the opening act in the Talent Show with a dance. Jordan’s nervous, excited, and she has a cold. Because of course she does, right? Speaking of summer, I’m about ready for no-bake summer to begin. The A/C has been running steadily and every time I run the oven I think about the electrical meter spinning like in National Lampoon’s Christmas Vacation. No-Bake Summer is why I’m introducing you to the only crust you’ll need (alongside this one) to make pie all season long, without your oven: a perfect No-Bake Oreo Cookie Crust. And when I say Oreo I mean ANY Oreo cookie, not just regular! Whenever someone says “Oreo Crust” I’m sure you think of that kind up there, the kind made from traditional Oreos. I always think of that one too. 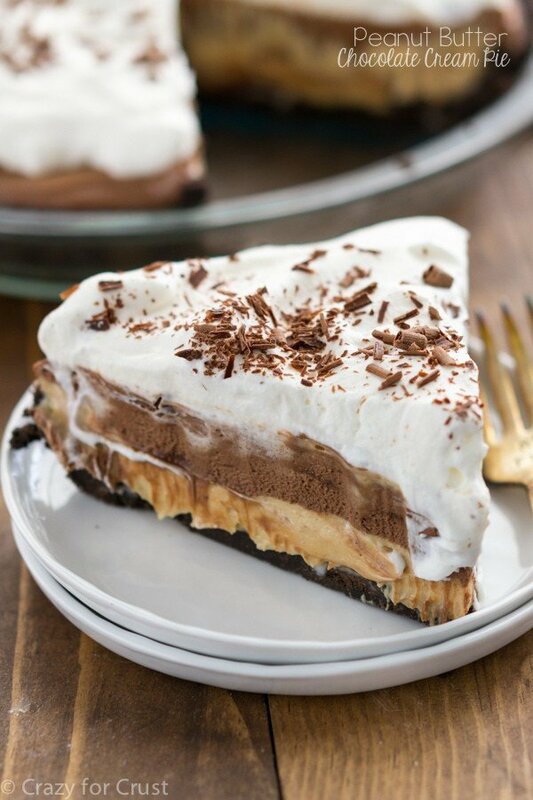 I mean, it’s the perfect base for, say, a peanut butter chocolate cream pie. But have you ever noticed all the different flavor Oreos out there? I mean, I love the traditional chocolate but if I must admit it…I like the Golden Oreos better. I especially like them as a pie crust. All Oreos, when you break them down to bits, are the same thing with different flavors. They have the same cream in the center and the cookie has the same texture. Therefore, you can use any of the cookies interchangeably in crust. I mean, the possibilities are endless. Mint, peanut butter, cotton candy, watermelon, cookie dough…should I go on or are you super hungry now? 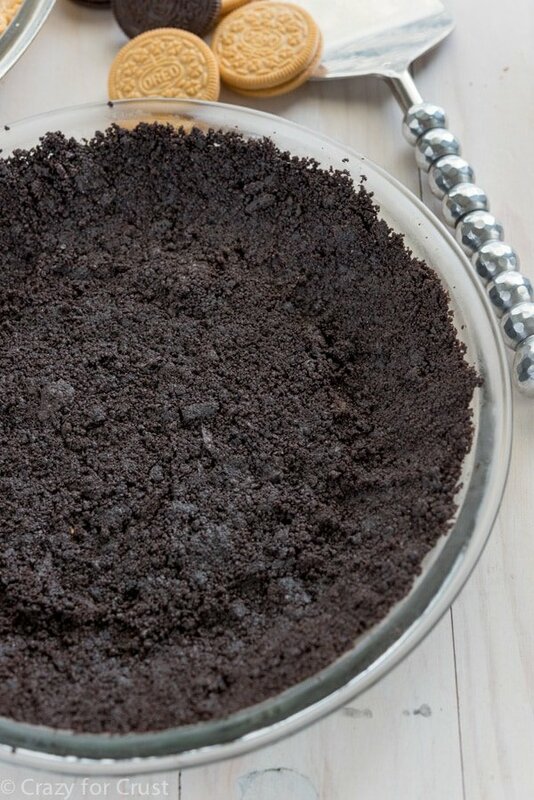 Making your own Oreo Cookie Crust is easy, fast, and works for so many recipes. I even made a photo tutorial for you on how to make the crust. Scroll past the recipe for the photo tutorial! OR, check out this video on how to make the Oreo cookie crust! You can use these crusts entirely no bake – just make and fill according to the recipe you’re using. You can bake the crust for a few minutes to make it crispy if you prefer them that way. Or you can bake cheesecake or fruit pies in the crust. 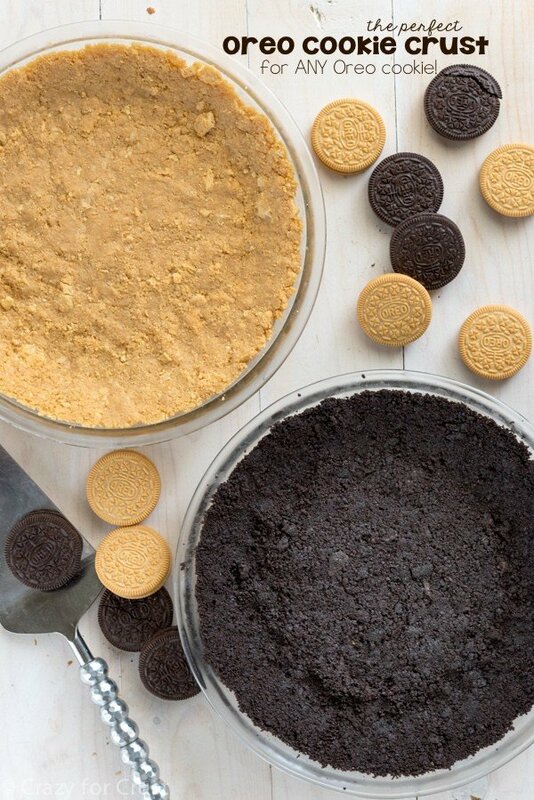 There are so many options for how to fill an Oreo crust. Plus, a homemade Oreo Cookie Crust tastes so much better than a store-bought one. Two ingredients and 10 minutes gives you a fresh, homemade, DIY no-bake crust perfect for any pie. Which Oreos would you use?? Don’t forget to check out the tutorial on how I made the crust below the recipe! 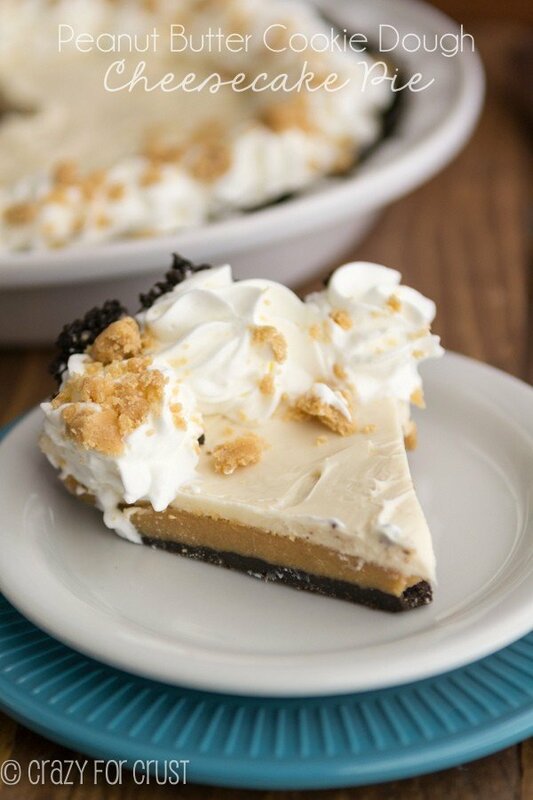 Then, make a pie like an Oreo Cheesecake, a Coconut Cream Pie, Peanut Butter Chocolate Cream Pie, Dulce de Leche Pie, Banana Cream Pie, or Black Bottom Cherry Cream Pie. 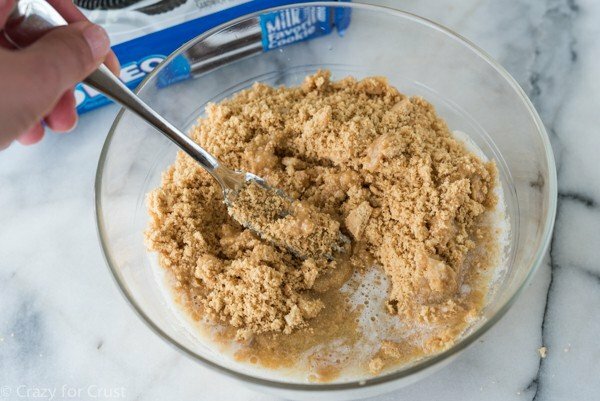 This Oreo Cookie Crust Recipe can be used with any flavor Oreo Cookie! It's an easy no-bake pie crust that works for so many different pies. Finely crush your cookies. 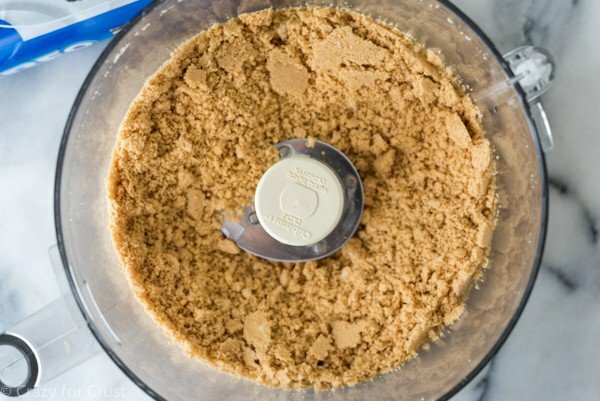 I like to use a food processor for this step, but you can also place the cookies in a plastic bag and roll the sealed bag with a rolling pin. If you're using a rolling pin, seal the bag but leave about an inch open for air to escape. You'll have to put some muscle in it to get a fine crush. The crust sticks together best when the cookies are crushed finely. NOTE: You do NOT need to remove the filling from the Oreo. Stir the cookie crumbs and melted butter together with a fork. Press crumbs into the bottom and up the sides of a 9" pie plate. Chill until ready to fill. 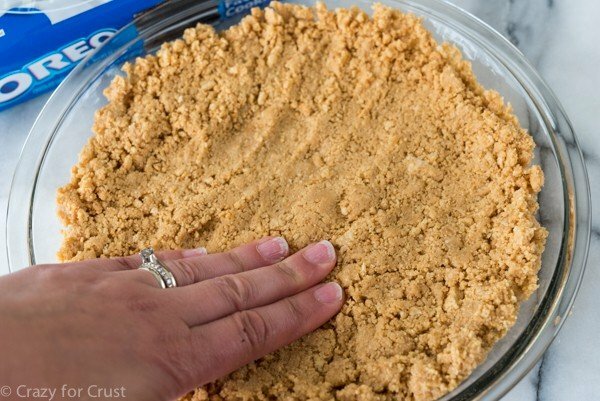 For a no-bake pie: chill the crust about 30 minutes before filling, then fill/chill as directed in the recipe. For a crunchier no-bake filling pie: bake the crust for 8 minutes at 350°F then cool completely before filling. For a filled baked pie: press the crust into the pie plate and then bake about 8 minutes at 350°F. Fill with filling and bake as directed in the recipe. This crust can also be pressed into a 9x9 inch pan for pie bars or used as a cheesecake crust in a 9-10" springform pan. Check out all of my pie crust recipes for even more inspiration! First, finely crush your cookies. You do NOT need to remove the filling from the Oreos. Just throw them all into a food processor and pulse until they are a fine crumb. If you don’t have a food processor, you can also do this in a gallon-size ziploc bag. Seal all but one inch of the bag (so air can escape) and roll to get crumbs. Doing it by hand is harder – you want a fine crumb so that the crust holds together. But it can be done in a bag, just take all your aggressions out on it! Place your finely crushed cookies in a bowl and add the melted butter. Stir with a fork until the crumbs are all moistened. Place in a 9″ pie plate and press to compact on the bottom and up the sides of the pan. Chill the crust for at least 30 minutes and then fill as directed in the pie recipe you’re using. You do not have to bake the crust, making this a totally no-bake recipe. If you like a crispier crust, bake the Oreo Cookie Crust at 350°F for about 8 minutes. Cool, then fill as directed in the recipe. Baking something like butterscotch-apple pie or pumpkin mousse pie? Bake the crust at 350°F for about 8 minutes, then fill and bake as directed in the recipe. 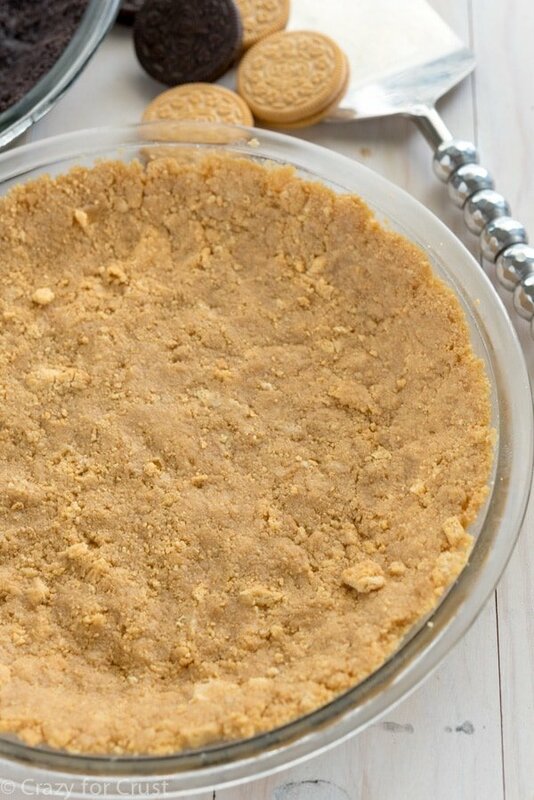 You can also press this crust recipe into a 9×9″ square pan to make cheesecake or pie bars. Making a cheesecake in a springform pan? This recipe works for that too! 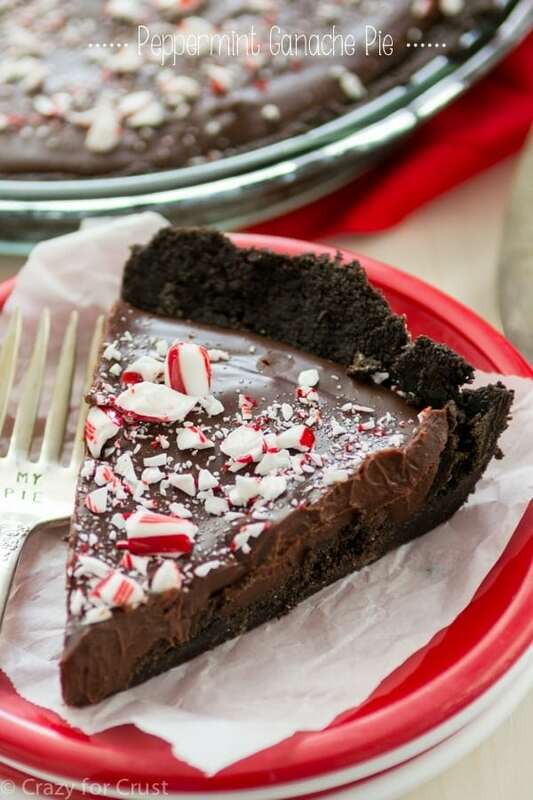 You can use this Oreo cookie crust recipe to make so many different pies! The cinnabon Oreos…. What flavor pudding besides boring vanilla does anyone suggest? I have been making all different flavors with the cool whip. Did the red velvet Oreo crust with cheesecake pudding, that was awesome! Did the lemon Oreo and lemon pudding, vanilla Oreo with coconut pudding. The options are endless but the cinnabon Oreos crust has me stumped!! I would use pistachio pudding – that sounds delicious with cinnabon oreos! This recipe didn’t work for me using a gluten free Oreo knockoff. It turned out wet at the bottom. It’s almost like the gluten free ingredients don’t absorb the filling creme the same way it does with Oreos. Honestly… cooking for people eating gluten free has turned out to be incredibly annoying. I try but nothing turns out as good. First time I made this it came out great, second time I used country crock tub butter instead of stick and now it super buttery, almost looked oily. We’ll see how the whole thing comes out but so far stick butter seems to be the better option. A yummy and easy crust. Used it without baking with a cream pie filling. Did have to make another half recipe as it was not enough. This crust is awesome but it is hard to cut when made with an ice cream pie. Any suggestions? Set pie plate in shallow pan of warm water prior to slicing. I have see one of your beautiful post of swiss sponge cake.I ‘ll like you to guide me on how to do it step by step and the ingredient it requires.I wish you the best. Can this crust be prepaired and cooked a day in advance? Please respond as soon as you can, because I need this for tomorrow! I have a mini tart pan, the tart sizes are 2 inch bottom circumference and about an inch deep. The pan has 12 tart cavities. I wonder if I make this whole recipe will there be enough, or too much? Its ok if I don’t have enough, but I would hate to make too much, as I doubt I would make more than 12 at a time. I am really dismal at math, I wonder what your thoughts on this are?